It has gone through a number of tweaks before reaching the version you are reading today and I’m sure it will continue to evolve over time. That’s the beauty of this recipe. It’s very versatile and can be modified to use what you have in your pantry, to suit your tastes, or to meet specific dietary needs. 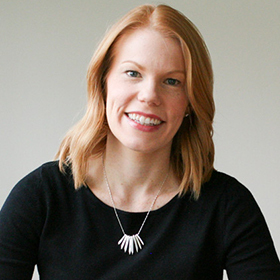 While the recipe ingredients are forgiving, the method for achieving those REALLY BIG CHUNKS is not – there are two key steps to follow. First, when spreading the granola on the pan, make sure you have a thin layer with no space between the mixture. Second, let it cool completely – no stirring in the oven or immediately after removing. In my house, this also means keeping the impatient hands of the kids and husband out. When it is cooled, you will be left with one large piece of granola that you can break up into clusters the size you desire. After breaking, feel free to stir in dried fruits such as raisins, cranberries, or diced apricots. 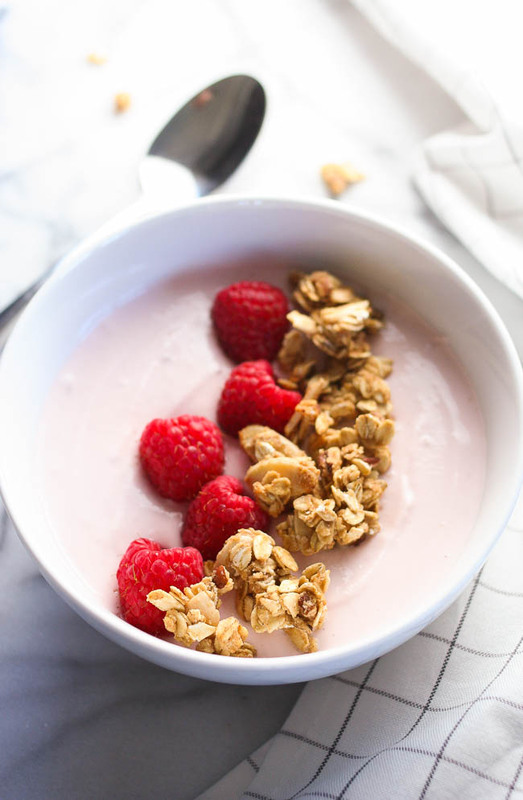 For me, summer mornings were made for enjoying a bowl of cold, creamy yogurt topped with fresh fruit and these crunchy granola clusters. Although, it’s equally delicious with sliced banana and a splash of milk. 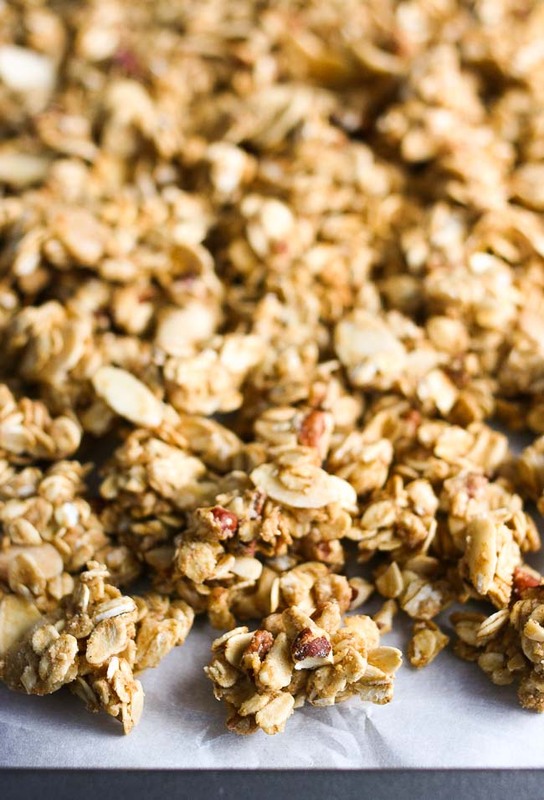 Make this tonight, and tomorrow morning, I’ll meet you on the patio with this delicious granola and a cup of coffee. 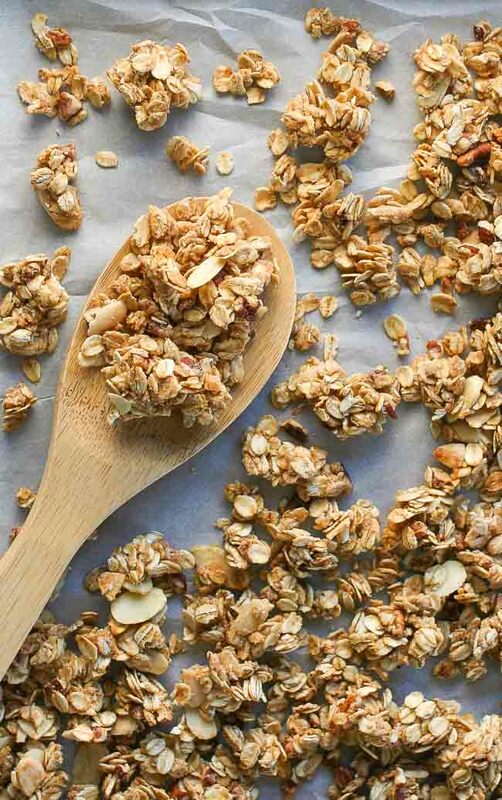 Crisp, hearty clusters of naturally sweetened, gluten-free, and dairy-free granola. Preheat the oven to 350ºF. Line a baking sheet with parchment paper or a silicone baking mat. Make the oat flour. Place 1/3 cup oats in a food processor and process until fine. Mix the granola. In a large bowl, combine the oat flour, oats, nuts, cinnamon, and salt. Add the honey, olive oil and vanilla, mixing completely. Spread the granola on the baking sheet. 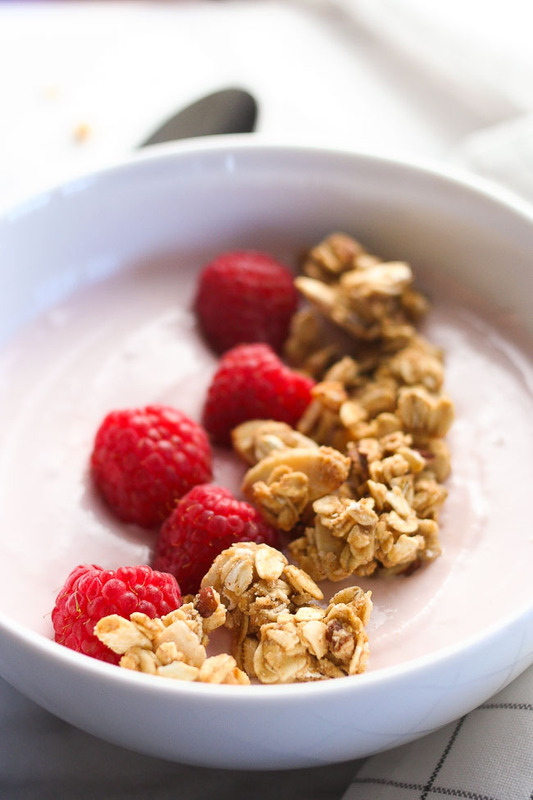 Arrange the granola in an even layer, making one large piece. Bake for 12-14 minutes, until the edges are just browned. Cool completely. 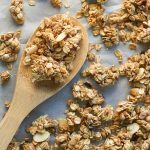 Once cooled, break the granola into large chunks. Store in an air-tight container. Packaged oat flour or regular wheat flour can be substituted – use 1/3 cup.